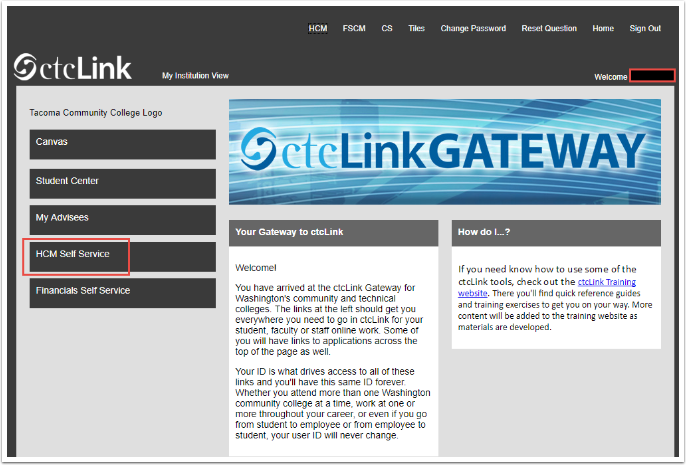 From the ctcLink Home Page, select the HCM Self Service button. On the left of your screen, select W-2/W-2c Consent button. 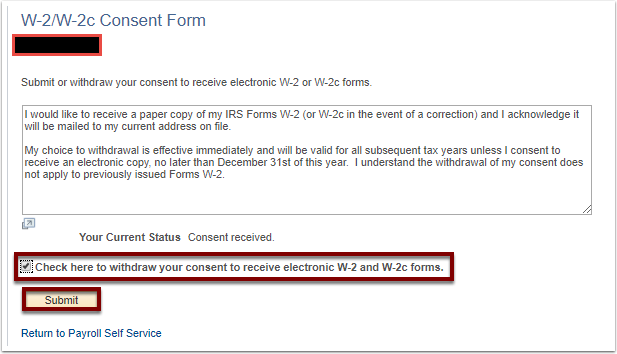 The W-2/W-2c Consent Form page provides the option to submit or withdraw your consent to receive electronic W-2/W2-c forms. 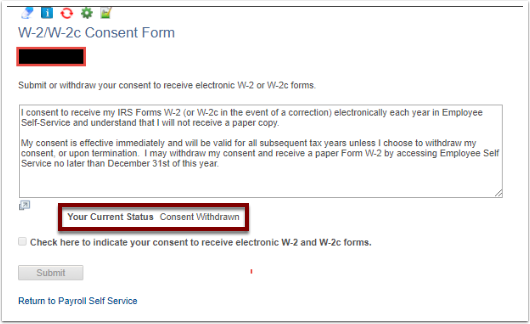 If you’re current status is “No consent received”, and you want to receive your W-2/W-2c electronically, read the text box information. Select the check box to indicate your consent. To verify your identity, enter your password and select Continue. 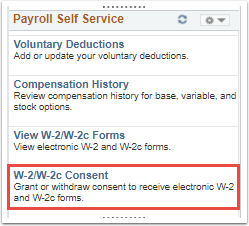 To withdraw your previously elected electronic consent, from the Payroll Self Service page, select W-2/W-2c Consent button. 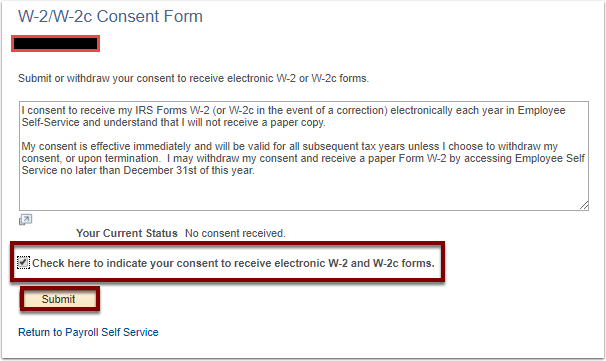 If you’re current status is “Consent received”, and you want to receive your W-2/W-2c in paper form, read the text box information. 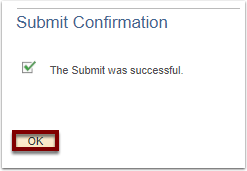 Select the check box to indicate your withdrawal for electronic W-2 and W2c forms. Your current status has now changed to “Consent Withdrawn”.